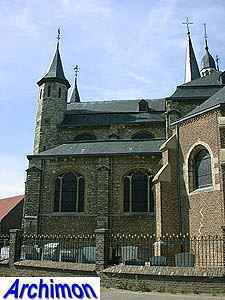 In the church of Geulle elements from three different periods are combined. 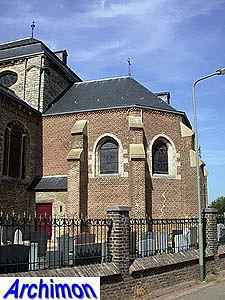 A church in the village is first mentioned in 1298, but of that church nothing remains. 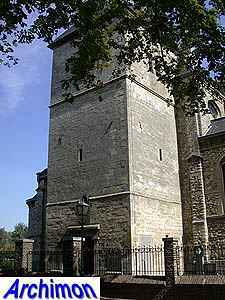 The tower is the oldest surviving part and dates from the 14th century, when a wooden church was replaced by one built out of marl. 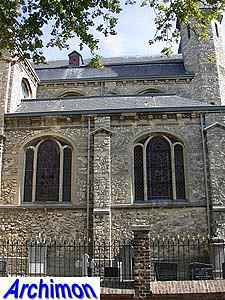 In 1626 that church was enlarged with a new nave and choir. 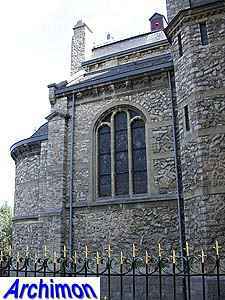 Of these only the choir is left. 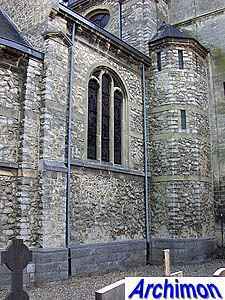 In 1920 the nave was demolished to make place for a new bigger church, designed by architect J.H.H. 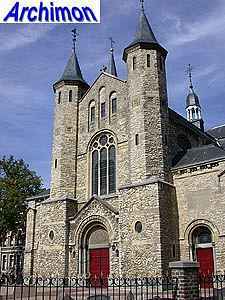 van Groenendael. 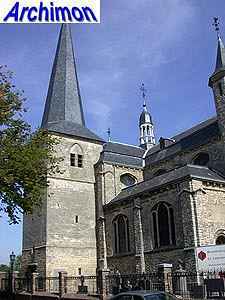 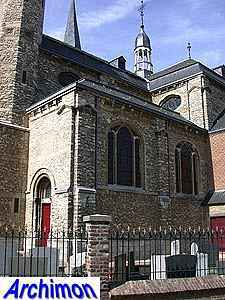 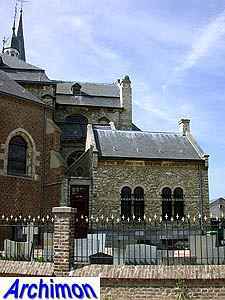 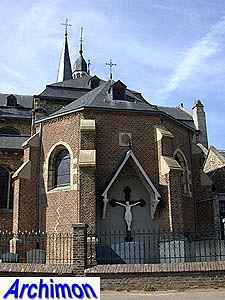 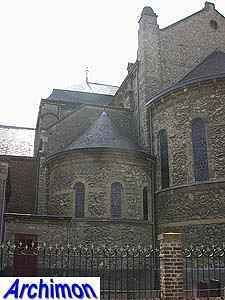 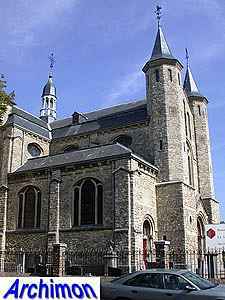 Van Groenendael built the new nave square on the direction of the old church and incorporated the tower and the old choir, which became a chapel. 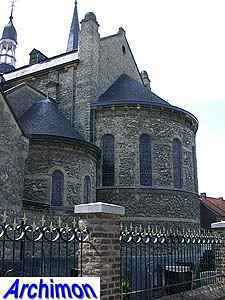 The new church was built of Kunrader stone, a natural stone Van Groenendael used more often, especially in the province of Limburg. 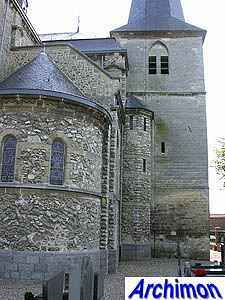 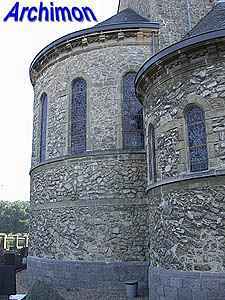 The design shows influences from Romanesque and Baroque. 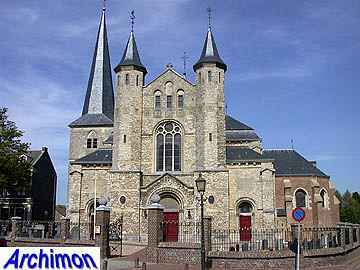 The result was much criticised. 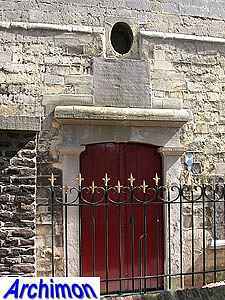 The old church had been demolished in a time of increased interest for old village churches, and the requests by experts in this field to preserve it had been ignored. 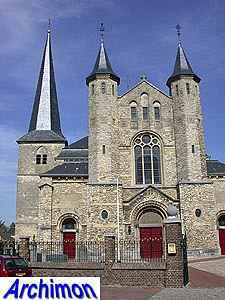 Also, the design of the new church was considered too ecclectic, a tasteless combination of styles that was also far too tall to be appropriate for such a village.